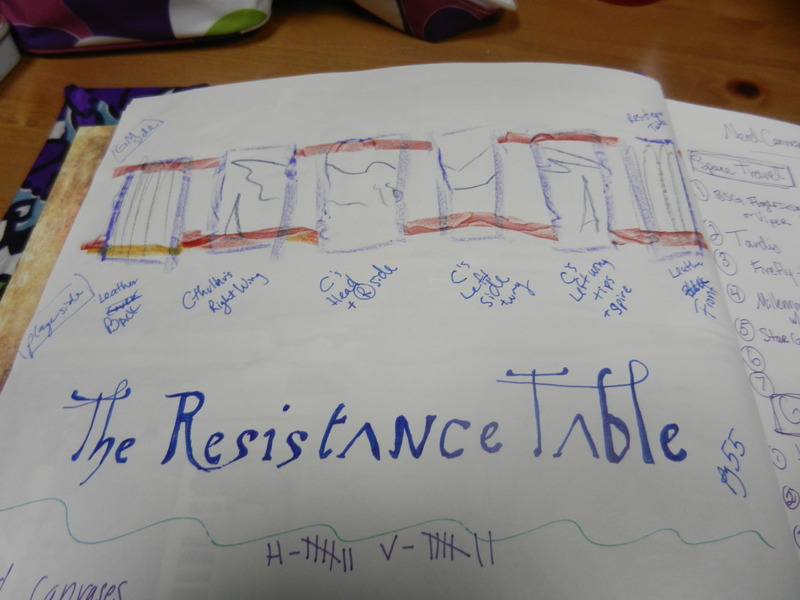 I also practiced the font for the resistance table labels. If you look at the purple writing on the right you’ll see a list. That is more prep work for the Nerd Canvas Collage; so should I say collages! I’ve decided that I have way too many ideas to be only making one collage and 15 is way too many small canvases to just make one thing. So I intend to make four collages, each with seven canvases! I still need to work out the details of each category, but I’m nearly there. 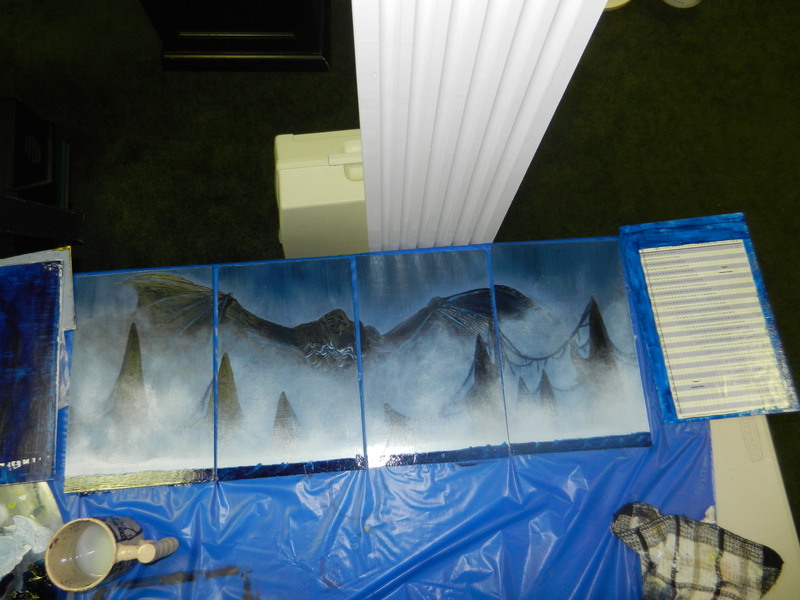 Posted on September 30, 2011, in Drawings/Sketches, Ideas, Paintings, Role-Playing Screens, Updates on Old Projects and tagged Call of Cthulhu, Cthulhu, fantasy, gaming, GM screen, Nerd Canvases, oil, oil paint, RPGs, screen. Bookmark the permalink. Leave a comment.